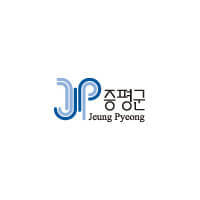 Yul-ri Vacation Village is being created as a “well-being town,” using the natural resources of Yul-ri located in Jeungpyeong-eup, Jeungpyeong-gun. The construction of this recreation site began in August 2006, and it finally opened its doors in August 2007. The indoor activity facilities have a floor area of 370㎡ (2 stories), containing an agricultural and specialty product shop and restaurant facilities that can accommodate 60 people. There are also pension-type accommodation facilities for group visitors and an auditorium that can be used as a cultural experience hall for hosting seminars and recreation programs. As for the outdoor activity facilities, there is a wildflower complex, a rest area, a sports field and various other amenities.